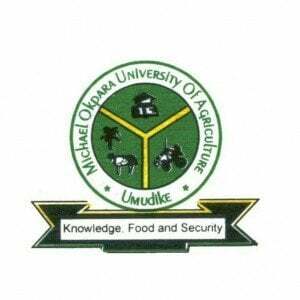 MOUAU postgraduate form – The management of the Michael Okpara University of Agriculture, Umudike (MOUAU) is now selling application forms for admission into its postgraduate programmes for the 2018/2019 academic session. Applications are invited from suitably qualified candidates for admission to postgraduate programmes of Michael Okpara University of Agriculture, Umudike (MOUAU) for the 2018/2019 Academic Session. Before you proceed, check: MOUAU Postgraduate COURSES. MOUAU Postgraduate Admission Entry Requirements. To be eligible for admission into a Postgraduate programme of the University, the candidate must possess a minimum of FIVE O’LEVEL CREDIT passes in ENGLISH LANGUAGE, MATHEMATICS and any other three relevant subjects at not more than TWO sittings. To be eligible for admission into the PGD programme, candidates must be holders of third class honors first degree in a relevant discipline from any university or holders of Higher National Diploma (HND) with minimum of upper Credit in a relevant discipline. For unclassified HND Certificates, a CGPA of 3.5 (5- point scale) and 3.00 (4-point scale) or 60% shall be taken as equivalent to upper credit. To be eligible for admission into the Master’s degree programme, candidates must. Be graduates of Michael Okpara University of Agriculture Umudike or any other recognized University by Senate and should have obtained a first degree with at least Second Class Honors (CGPA of 3.00 and above on 5point scale and 2.50 on 4point scale). Any other certificate or qualification that may be acceptable to Senate. To be eligible for admission into the Doctor of Philosophy degree programme, a candidate should have obtained a Master’s Degree which includes course work and research from Michael Okpara University of Agriculture or its equivalent from any other University recognized by Senate in relevant disciplines, with Cumulative Grade Point Average (CGPA) of at least 4.0 (5- point scale) or 3.00 (4- point scale). All Ph.D, M.Sc, M.Ed, M.Eng candidates MUST possess credits in English and Mathematics in addition to three other relevant subjects at O’level. How to Apply for MOUAU Postgraduate Admission. Academic transcript should be forwarded from the institution of origin to the same address before the closing date. Please note that any candidate whose transcript is not received will not be considered for admission. Closing Date for Sales of MOUAU Postgraduate Form: Closing date for the receipt of completed application forms and transcript for the 2018/2019 session is two months from date of publication. SEE ALSO : List of Universities Selling Postgraduate Forms for 2018/2019 Academic Session. Pls is msc forming for 2016/17 still on sale? May I know if the processing procedures if one is far away from Umuahia. I mean is everything to be done through the post. Thank you. Sir Fred. Pls I want to confirm if the school is offering PGD in Human Resources Management HRM?